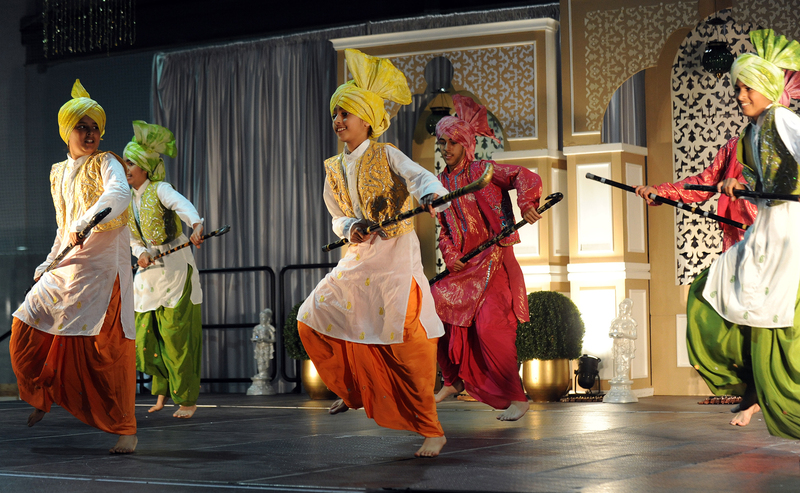 Roots: A Journey Through India is a show that combines dance, music and history. It comes to the Rose Theatre in Brampton, Saturday, Feb. 18 at 7 p.m. Whenever I chance upon something amazing: a good book, a watchable movie, an incredible entrée or even an interesting conversation, there’s a good chance, I will not simply shut up about it. Sometimes, I even write a whole blog. So pretend for a moment, these words are being delivered via a bullhorn. I, for one, plan to stop by the Rose Theatre in Brampton, Feb. 18 at 7 p.m. to watch Roots: A Journey Through India. Having sampled a small snippet on video (you can watch the earlier post), I know it’s just the kind of thing to appeal to all my senses— high-energy dance, opulent costumes, familiar Bollywood tunes and a story line. Shereen Ladha, 29, the director and creator of Roots as well as owner of popular YouTube channel, dancewithSL has conceived the show by combining her love for dance and choreography, India and Bollywood music. Then on, it was all hard work and grit and following the path. Roots can be described as a panoramic, visually stunning musical show that through Shereen’s signature vision wefts and weaves silken threads of romance, laughter and drama through several touchstones of India’s cultural heritage. The rich tapestry is sewn together with Bollywood music. By the way, the last two shows sold-out. Some 16 or more talented artists execute Shereen’s vision on stage. Mississauga’s Shama Kassam, 26, is one of them. Shama and Shereen are best buddies bound by their passion for dance. When she’s not swaying to music, Shama channelizes her energy into making the body, mind and breath connection as a yoga instructor at Power Yoga Canada Mississauga. Shereen, a Toronto native is a choreographer, dance visionary schooled in many genres: Hip-Hop, Ballet, Kathak and jazz, all of which she assimilated by the time she was 10. You probably recall Shereen from her viral hit Maafi, a cover of Justin Bieber’s chartbuster Sorry. The remix video garnered almost a million views before Sony Music grabbed the copyright. To buy tickets for Roots, visit here or call 905-874-2800. Details: DhamalMasti Group (DMG) will host its annual Navratri celebrations at the Hershey Centre, 500 Rose Cherry Pl. in Mississauga from 7 p.m. until midnight. Cost of tickets is $20/person and can be purchased at the door. Details: Head to Cineplex Entertainment, 110, Courtney Park Dr., Mississauga for a karaoke contest. Championship open to South Asians between 11 to 60+ (There are various categories. Details: Ami Modi and Pratik (vocalists) will perform at David Suzuki Secondary School, 45 Daviselm Dr. at 7 p.m. for a garba/dandiya event hosted by Suravali Musical Group. Cost of tickets is $12/person (advance) and $15 at the door. Details: Pratibha Arts will be collaborating with Harbourfront Centre’s NextSteps Dance Series for this performance series, taking place at the Studio Theatre, Harbourfront Centre, Toronto. Details: With the far-out sounds of a rock band and classical instruments of an orchestra, the unconventional Monster Rock Orchestra (MRO) will deliver rock and pop hits from the 70’s, 80’s, 90’s and today at a spectacular free concert at Yonge-Dundas Square at 7 p.m. Details: Indo-Canada Arts Council is bringing Diwali celebrations to the “Square.” Event will have elements of Dandiy, Dusherra and Diwali and takes place at the Celebration Square in Mississauga at 5 p.m. Details: A Diwali dance/dinner concert featuring many local artists will take place at Shingar Banquet Hall, 2084 Steeles Ave. E. Brampton at 6 p.m. Details: Soulpepper Theatre, will present Company Theatre’s (India) Piya Behupriya (Twelfth Night) Oct. 27 to 29. Amitosh Nagpal has translated the work of Shakespeare into Hindi. 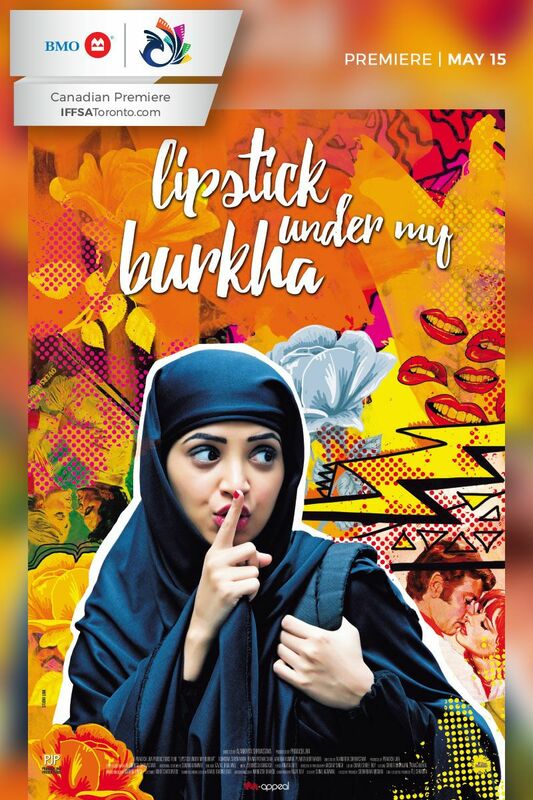 Since it was introduced at Shakespeare’s Globe in London, England, this Hindi musical adaptation about romance, mistaken identity, love and unrequited love has wowed the audience world over. Show will take place at the Young Centre for the Performing Arts, 50 Tank House Lane, Toronto. Note: This is just a few of Navratri and Diwali events happening in the Greater Toronto Area this year. There are lots of others happening, unfortunately, given the resources, It was impossible to list them all. Details: The Kidney Foundation of Canada wants GTA residents to experience a musical evening with Bollywood composing duo- Salim and Sulaiman. Event is happening at Mississauga Living Arts Centre. 4141 Living Arts Dr. in Mississauga at 7:30 p.m. Details: Samprada Dance Academy will welcome Aditya Prakash Ensemble for its signature, Kalangan Series at the Samprada Theatre, 4-3250 Rideway Dr. at 7:30 p.m. The concert will blend traditional Indian vocals/ragas with western musical instruments. Tickets cost $20 (adults) $15(students). Check out the accompanying video to get a sample. The sounds are magnificent. Details: Since its launch few years ago, the Holi-inspired event has been adding colour to the social scene in the GTA. This year, the action shifts to Scholars’ Green (outside Sheridan College Campus), 275 Prince of Wales Dr. from 11 a.m. to 5 p.m. Details: Dubbed as one of the largest singles events in the GTA, the evening, kicking off at 3 p.m. at Tich Restaurant, 2314 Lake Shore Blvd. W. Toronto combines an exhibition portion as well as some components of speed dating. So, if you’re sleepless in Toronto, head there. Tickets are $35/person. Details: Small World Music Festival and Dhol Foundation are bringing a wonderful concert at noon featuring sounds of Bhangra, infused with reggae as part of in/future – an 11-day festival of arts and music at Ontario Place, 955 Lakeshore Blvd. W.
Details: Janak Khendry Dance Company is hosting a dance-drama Ganga at 3 p.m. at the Sir Fredrick Banting Secondary School, 125 Sherwood Forest Square, London, Ont. Anirudh Ravichander, South Indian music director of Kolaveri fame, is coming to Toronto (Brampton) for a concert, Saturday, Dec. 12. Check out our list of other events happening in and around Toronto in December. Details: Canadian South Asians Supporting Independent Living (C-SASIL) is hosting its annual Red and White Gala at Shingar Banquet Hall, 2084 Steeles Ave. E. Tickets cost $60/person. Details: Council of Agencies serving South Asians (CASSA) will be hosting its 2nd annual Brown Canadian 2020 Summit from 9 a.m. to 4 p.m. at York University (Founders College Assembly Hall), 4700 Keele St. in Toronto. The purpose of the conference is to understand: Where South Asians are at in Canada and secondly to formulate a plan to respond to the needs of the community. Details: Arya Canada will present Anirudh Live at Brampton’s Powerade Centre, 7575 Kennedy Rd. S. at 6 p.m. Anirudh Ravichander is a film composer/singer whose song Why this Kolaveri Di went viral on YouTube with 100 million views. He’s the nephew of Rajnikanth and is part of a band called Zinx. Details: The Canadian Malayalee Association (CMA) is hosting its CMA Chill 2015 Meet and Greet at Payal Banquet Hall, 3410 Semenyk Crt. in Mississauga at 6 p.m. Details: Love Birds 2016 dance competition auditions are taking place at ONEROOF Studios, 2244 Drew Rd. Unit 6 in Mississauga. The grand finale will happen, Feb. 5, 2016. Details: Chinguacousy Secondary School, 1370 Williams Pkwy. in Brampton will host Bollywood Musical Night at 5 p.m. There will be live music. Deepak Gandhi and Orchestra will provide live entertainment. Music includes old and new Bollywood hits. Details: Ajaay Modi Entertainment is bringing Nawaabi Shaam: Sharab, kabab and shabab ke naam featuring royal gharanas of Lucknow & Hydrabad with the Jhankaar of ghungroos, mehak of the gajras. Sounds interesting. Interested? Show up in ethnic (serwanis, Jodhpuris, Achkans and kurta pyajamas. Details: There are so many happening in and around the GTA it just wasn’t possible for me to list them all. Pick your venue. Have fun.